If you search for local keywords and some of the stores that come up happen to be in a local mall, Google now will show the mall name in the address section of the listings in the web search results. For example, if you search for [shoe stores] you'll likely see a nice number of listings that are in malls and those addresses start with the mall name. I believe there was a minor Google Local update late last week. 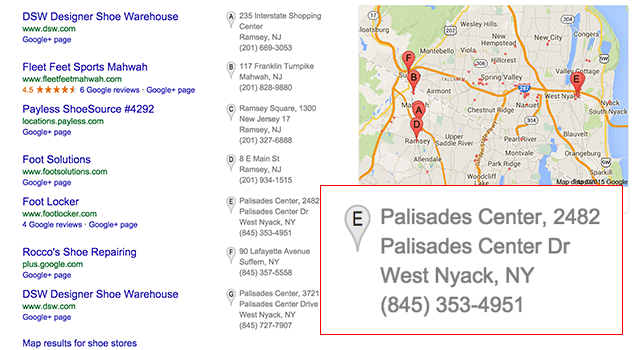 It appears Google just started adding the mall or shopping center name in front of the address on local listings. So I'm dubbing it the mall update. That name works and this update makes sense, it better communicates that the shoe store is in the mall and not by itself.